What are the most important things you need for a skydive? 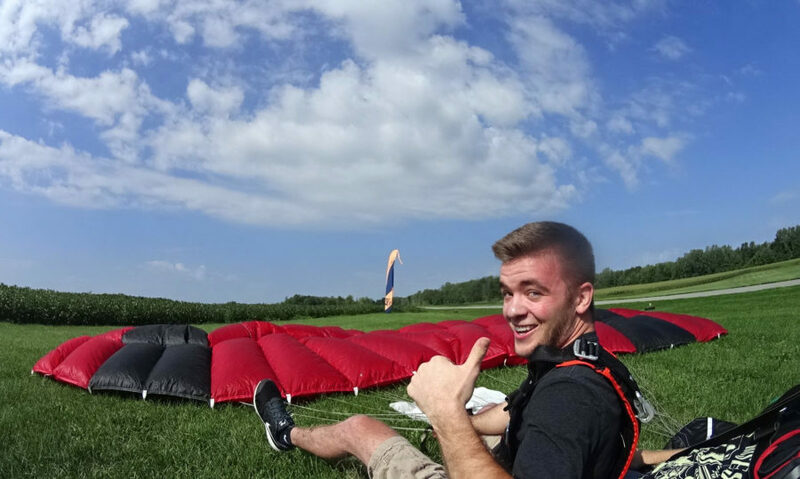 Your parachute, sure, and a plane — but the third variable that makes or breaks your skydiving day is the same variable that has wreaked havoc on many a wedding and camping trip. You know it: The weather. Here’s the straight dope: If you’re in the sky, you’re in the weather. That variable, good or bad, affects every single part of the skydiving experience – from the sun warming the smile on your face while you’re freefallin’ to the gentle flutter of your landing. Bluebird skies and warm sunshine are sure to put a smile on your face. That being the case, it goes without saying there are certain weather conditions which – full-stop – prevent skydivers from jumping. They’re pretty obvious: If the wind is too strong or the clouds are too thick, we have no choice but to stay on the ground. Curious? Here’s a rundown on the ways that atmospheric conditions can affect your tandem skydive. What counts as good weather for skydiving? You already know that the best weather for skydiving is classic good weather: that is to say, when the the sun is shining, the weather is warm and the sky is clear and blue. If you’re skydiving in those conditions, you’ll enjoy a comfortable ride thermally, with 100% visibility all around. We can still skydive if there are deviations from that ideal. (Luckily, or we rarely would!) Differences between the reality and that perfect-weather template are common and not always unpleasant. Here, however, is how we apply some criteria to evaluate them. Are low clouds obscuring the ground? We won’t take the plane, and if we do and they close in below, we certainly won’t get out. Even though GPS is likely to get us reasonably close to the mark, all expert skydivers know that it’s a wicked-bad call to rely on them. The best tool to evaluate whether you’re getting out in the right place is your very own eyesight — and landing off the dropzone could put a baffled jumper in a tree, a lake, or a full parking lot. This isn’t a risk we’re willing to take. These clear type of weather conditions is what we want for a skydive. 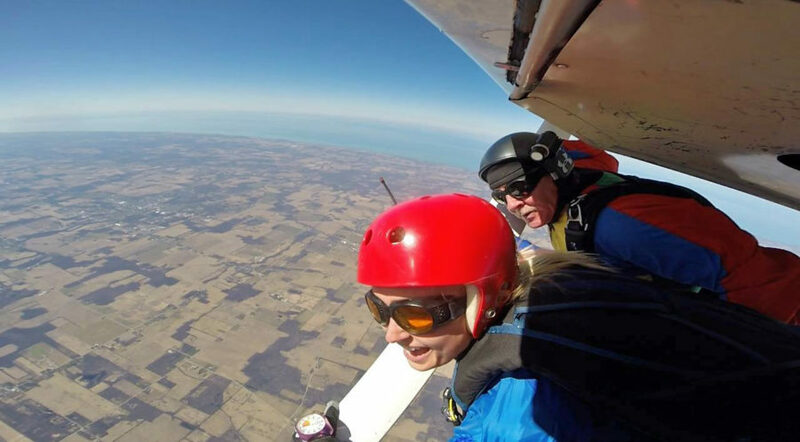 If you’re like most new skydivers, you’re thinking most about the freefall part of your tandem skydive. That’s cool and all, but there’s a highly necessary parachute component to think about. High winds significantly affect how our parachutes fly, pushing them off-course — and even backward. We won’t take that risk, either. No rain is good skydiving weather. Thumbs up! What if the weather is too bad to make a skydive? It won’t be the first — or the last — time such a thing has happened! In the unfortunate event that weather keeps you down on the day you’d hoped to jump, we have a well-oiled process to get you in the sky when it clears. We’ll simply reschedule your jump. No stress! We’ll get you up there sooner you think. Got more questions? 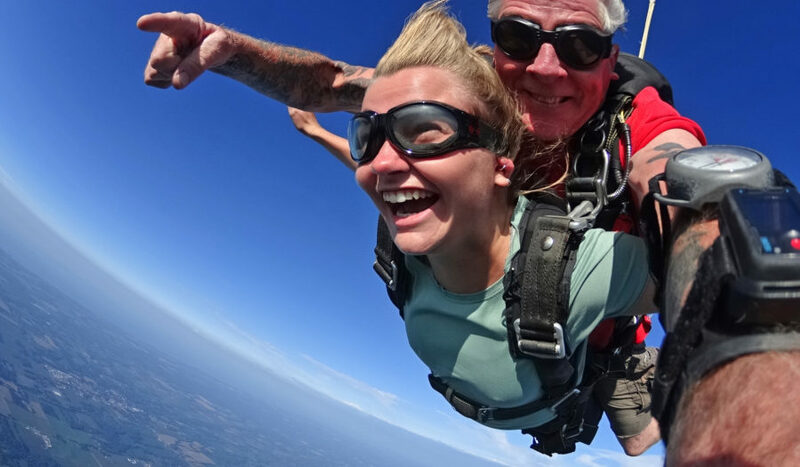 Contact us today – or if you’re ready to take the leap, book your tandem skydive today!